At Sprout Social, we believe open communication creates progress. Therefore, we welcome feedback from our customers (in any format or medium), because it helps us build the best product and company possible. When that feedback is positive, it reinforces that we’re headed in the right direction. 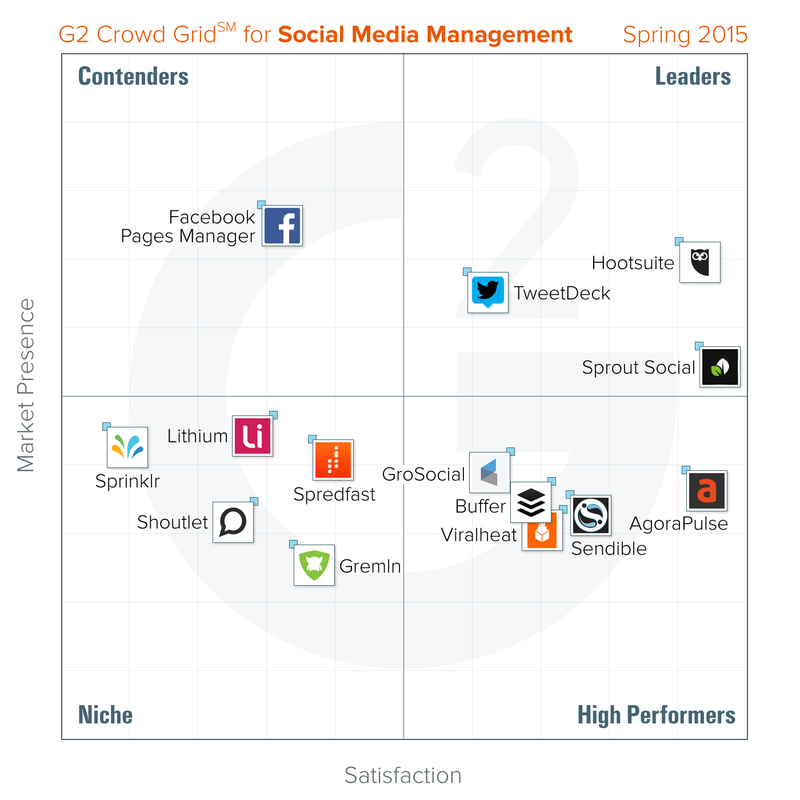 That is why we are excited to have received the highest satisfaction score in the latest Social Media Management Report from G2 Crowd, a business software review platform. The report, which is based on data from more than 600 reviews written by business professionals, also named Sprout a “leader” in the space, based on high customer satisfaction and substantial market presence. The report found that 91 percent of reviewers believe Sprout is headed in the right direction while 98 percent gave Sprout either four or five stars out of a possible five. Specifically, reviewers noted Sprout’s intuitive, user-friendly design as one of their favorite aspects of the product and mentioned how getting new users started on the platform is a hassle-free process. Sprout’s top-notch support staff also got quite a few callouts, with reviewers rating our quality of support at 98 percent, compared to the category average of 85 percent. These B2B reviews represent more than a point of pride for us, however. We know that many businesses are especially diligent in researching software before making a purchase decision, and reviews from trusted peers make all the difference. We at Sprout are honored to power your social communication and wish to extend a huge thank you to all of our customers for spreading the #SproutLove. Care to give us a review as well? Hop on over to G2 to offer your feedback anytime. Brendan Shea: Brendan Shea is the Senior Manager of Content at Sprout Social. A graduate of the Missouri School of Journalism and Loyola University Chicago, Brendan has worked in media, advertising and higher education. He also attended grammar camp—post college. Find him on Twitter @frombrendan.